One of the amazing things about caring for an adult baby or ‘little boy’ is the number of ways you can help him express his personality by dressing him in clothing that suits his spirit and inner age. Now, a daddy will have his own preferences and feelings about what suits a little boy. You might have a little boy on your hands who has a tendency to make mud pies in the park or come home with grass stains on his pants and a handful of worms. Study overalls and running shoes with velcro, bright shirts with cartoon characters or superheroes might be in order for that little guy. Or maybe you have a ‘son’ who’s more snuggly. He can spend hours happily in his playpen with his stuffed animals, or who wobbles a little as he walks around and finds it easier to crawl on the living room floor as he plays with his toys. For a baby boy like that, nursery clothes are in order – footed play suits, pastel-colored shirts, or diaper shorts. But as a daddy, I’m often curious about what a little guy would choose for himself. In fact, one of the most amazing bonding experiences between a dad and son can be doing some virtual window shopping together. Looking through on-line catalogs or listings of AB clothing and watching as he points to things he likes can tell you a lot about his interests, feelings, and sense of self. If he gravitates to footed sleepers and play suits, then he might be telling you that his more ‘babyish’ side needs a chance to express itself, and you probably shouldn’t hesitate to make a nightly bottle feeding an important part of your evening ritual. If his mouth opens wide at the sight of overalls or shirts with cartoon characters, then you might have a rambunctious little boy on your hands who needs lots of creative time with finger paints and Lego. Now, regardless of the ‘age’ of your little guy, there are two must-haves in his wardrobe: onesies and rompers. Both can be worn on their own or under clothes. Both are versatile. And both look cute on a little boy no matter what his age! 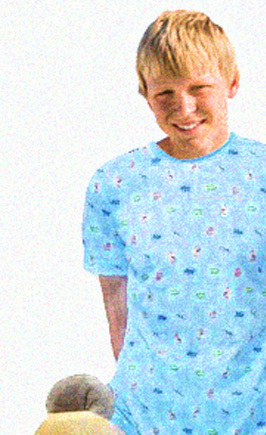 Now, I’ve been lucky enough to find people who will make clothing based on photos you provide. And the photos in this post include a few of the items on my ‘wish list’. But I can’t help wondering whether the little boys out there have a preference. I mean, everyone needs a onesie, but if you had a choice – onesie or romper, which would you choose? Let daddy know – he might have a big gap in the baby closet that you can help him to fill! Daddy is partial to onesies, and he leaves my plastic pants sticking out a little at the legs, so I really look the part as I crawl on the living room rug, my thick diaper and plastic pants rustling noisily. I wear shorts or long pants when we go out. However, after seeing your post on rompers I got myself a cute cotton romper with a cartoon character, and I think that also accentuates the diaper and makes me look adorable. “There is a time for everything, and a season for every activity under heaven” – Ecclesiastes, 3:1. I wear onsies alot more then a romper, you can use them as an everyday Tee, and during the winter its a requirement to keep this little guy warm. I’ve never worn a romper, so I don’t know what I’m missing. I’ve always gravitated toward onesies, though. They’re cute and mommy or daddy always has to snap or unsnap them for diaper checks and getting dressed, and that makes me feel extra little and cared for. 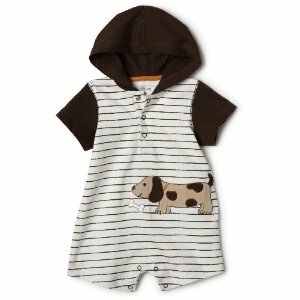 i have several onesies and only one romper… but have never found a really authentic looking romper. i’d love to find one that was really babyish in style. Daddy, I want a romper! Onesies are for babies and i a big boy! I am new to being am ab daddy but I like onesies over rompers for my online babies. *sucking his thumb* I dunno dada, fink however you dress a diaper baby like me, hafta have snaps in the crotch for easy diaper changes. It is very hard to find affordable adult baby clothes besides e-bay and they are way to much. I have a onesie but would rather have a romper with fire trucks or even my deepist wish is to have a pair of full body pj’s that zipp all the way up with the footies like back in the day they were my favorite. I am unable to baby myself all the time so I try to get clothes that can be worn out in public so it is hidden from the world until I make a krinkle noise. I wish that I was able to wear all day everywhere I went and when I was asleep. I have some footed sleepers but honestly…I dont really wear them till its super cold! I am an active boy and I LOVE both onesies AND rompers but if its a bit cool in the house I prefer jammy pants to accompany the onesie or romper. My gripe is they only sell onesies in 3 colors mostly. The site I usually order from sell in white, blue, or pink. I like variation though! I would like to find someone to make green onesies and red, and a brighter blue instead of the navy blue…. I HATE EBAY TOO!!! its a tease. 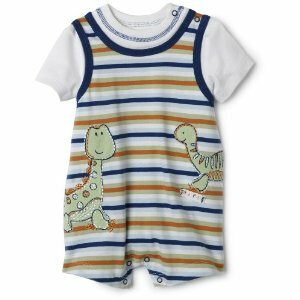 I do like prints sometimes too on onesies but I’m a solid color type kid…or say if it was a blue onesie and the arm cuffs were red and the neck cuff was yellow? I would go for that! I’m a bit too shy to actually wear ab clothing in public, aside from diapers. I have a onsie as it is and do enjoy wearing it when I can. I think a romper would be awesome if made to be a bit more discreet. I found that while onesies sell very well, it’s difficult to find buyers for rompers. I actually think rompers are much cuter, but my customers seem to disagree. So I’m focusing more on onesies since that seems to be what most people want. Hi guys I’m still around to let ya know I’ve been buisy playing on runescape, I’m getting a new phone soon so hopefully be able to use the chat again. http://www.baby-pants.com/ is where I get mine. They are roughly $26.00 a piece so the price isn’t bad at all. Hope this helps! Depends on the weather. During the summer a diaper and tee shirt would do just great!! In colder weather, long pants with lots of snaps would be better. When baby needs a change, Daddy can access the wet and/or soiled diaper by first undoing the snaps and then pulling the pants above the diaper. Then Daddy can change his widdle boy. The only baby themed clothing I have currently is a light blue onesie. I bought it from a person who made it custom for me for about 40 bucks, and they even threw in a few odds and ends because it took longer then they thought (extra snaps, a bell, and a Christmas card :P). I’ve been wanting to pad up and wear the onesie, but no luck yet. Haven’t found the time or the opportunity. Hmmm…if I had it my way I’d dress my little man in onesies and footie pajamas. He’s the snuggly type. onesies, i have spiderman and hulk.